Welfare fraud, also referred to as Public Assistance, or Food Stamp fraud, is a serious offense in Orlando, Florida and because of the nature of the crime, statistics are difficult to obtain. Welfare fraud involves intentionally misusing the benefit system that is designed to help those people who abuse it. Using false information on applications, identity theft, and withholding information from a government agency are all considered fraud and punishable by fines, or prison. Food Stamp Fraud – Anytime someone is found falsely obtaining food stamps or selling their own food stamps the state can charge them with welfare fraud. Medicaid Fraud – Anyone who acquires medical services by using false information can be help liable for fraud. Additionally, those who are denied medicaid, but use forged documents to obtain services can also face fraud charges. Housing – Many times government housing is abused and people fail to report income they may have made. This and any other form of false information to obtain housing could lead to an arrest. Unemployment – Those who collect unemployment while getting paid under the table can be arrested and charged with welfare fraud. Since income is not being reported it is often difficult to determine this is going on. However, once someone is caught the State does not take kindly to this type of fraud and often tries to enforce harsh punishment. Florida Statute Section 414.38 outlines all of the different forms of welfare fraud and what constitutes an arrest for each. There are several factors that must be met which can make it difficult to convict someone of this crime. Our lawyers were able to get our client enrolled into the Pretrial Diversion program. Once the program was completed all charges were dropped and our client now has the opportunity to expunge her records. 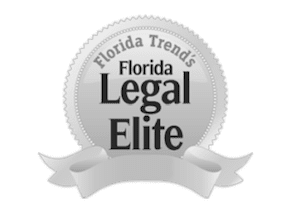 Have You Been Charged With Welfare Fraud in Florida? Unfortunately, the United States government picks up the tab on this type of crime, which can be found at an individual level, or a larger fraud ring level, and both of these continue for years if not detected. That is why the Department of Social Services will use neighbors, store customers, or agency employees to help with their investigations. In one case of welfare and food stamps fraud, the investigator was given enough information by a relative of the defendant to warrant an arrest. In this situation, the investigator was able to use the defendant’s own relatives which is why you should never speak to law enforcement without having a lawyer present. If you have been accused of fraud it’s important that you know your options. Fill out the form on your right for a free case review. You can feel confident knowing our attorneys will do everything in their power to get the best possible results. Let us help you protect your rights, call us today at (407)228-3838.